This is a very simple card for preschoolers to make. 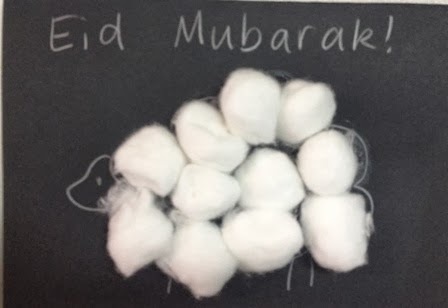 Using a silver or gold pen or pencil, draw a sheep and the words 'Eid Muarak' onto a black card (or black paper folded in half). Let children apply glue to the inside of the sheep's body and place cotton wool on. 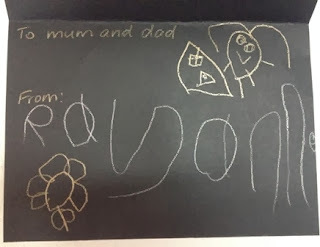 Have children draw some pictures and write their name on the inside for a personalised touch.